The biggest problem with Tufo clincher tires are putting them on. I use 14 inch wide zip ties when I get to the point that they start to slip. This lets me work on the last little bit with my both hands while the zip ties hold where I have it, with just my hands. If you take these tires to a run of the mill bike shop, they'll tell you you have the wrong size for your rim. Wrong! If your close to Western Bikes, you can watch then struggle while they put them on your rim. These tires for this reason don't need tape or glue. Once there on they stay on. 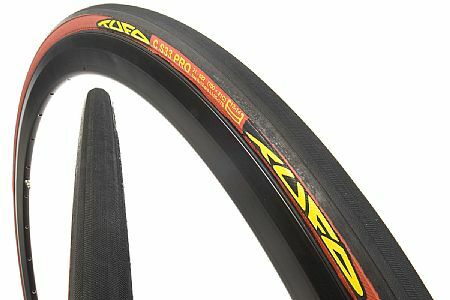 A good road Tubular Clincher at a very good price!! This tire handles almost as good as the higher end Tufo tires, and is at an unbeatable price! Im retired now and this tire gives me a good value for a great price!! Ive bought four (4) in the last three months!